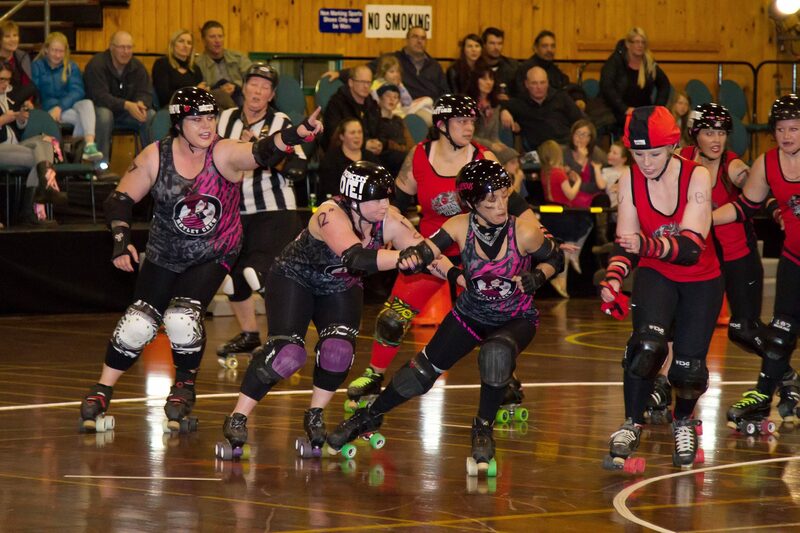 Hells Wives feel the heat in Rotorua…. 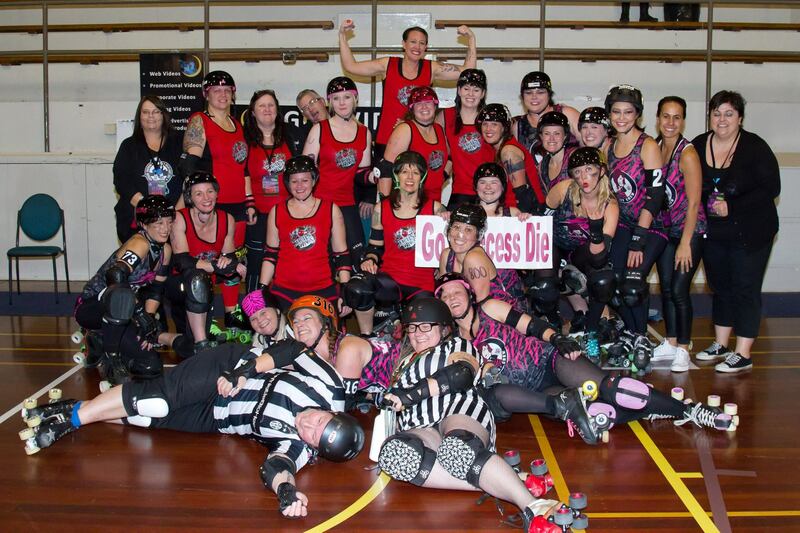 The last weekend in June saw Hells Wives take on Sulphur City Steamrollers’ Motley Crew down in Rotorua! We all love a roadie and it was awesome to be able to take in some of Rotorua’s many scenic attractions while we were there. And many thanks to All Seasons Holiday Park for putting us up and entertaining us with some dinosaur hunting! 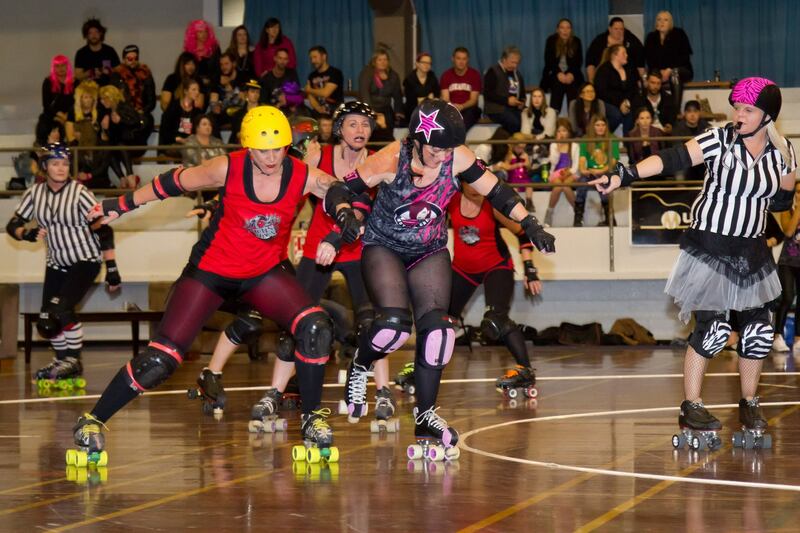 Sulphur City Steam Rollers certainly know how to put on an event, and the stadium was packed out with 500 fans, many of whom had never seen a roller derby game before. In the end they were in for a treat; Motley Crew played an outstanding, hard hitting, fast-paced game and with Hells Wives being several key players down the final score was 285-98. A huge mega thank you to SCSR for inviting us down and it goes without saying thank you so much to the refs, NSO’s and all those who made game so amazing to take part in! 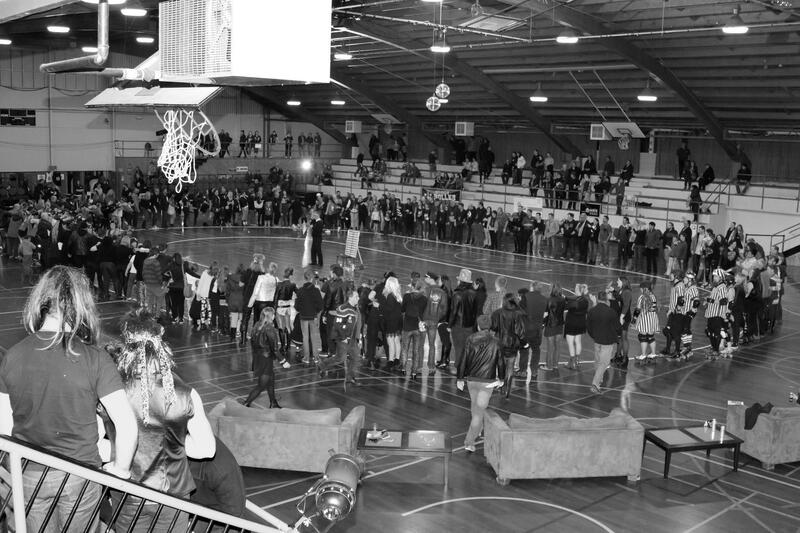 o made the game so amazing to take part in! This entry was posted on August 5, 2015 by nnderby. It was filed under EVENTS! .